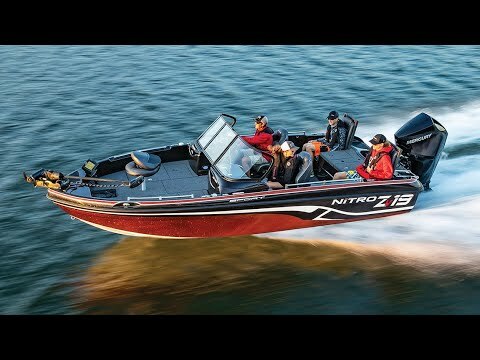 The NITRO® ZV19 Sport is an overbuilt big water fish and ski machine with a maximum 225HP capacity. Two folding jump seats integrated into aft fishing deck and a stowable ski tow pylon provide fun for all, and the deep, comfortable interior keeps diehard anglers secure in rough weather and families safe when cruising. The aggressive Deep V hull slices through the chop on big lakes with smooth agility, and its wide beam provides plenty of stability for six. It also sports a raft of fishing features that will please the pike, muskie, bass, or walleye angler, and ample storage throughout that holds all the gear you need.